Welcome to Walter, the World’s Largest VW bus. Yup, Walter is a fully functional, 13-foot 2-inch tall, road-ready vehicle and we’re stoked you found Walter because there’s a lot of creativity to spread around and time is burning. Ultimately, Walter’s purpose is to inspire everyone to let loose and look beyond what is to what can be…and then get out there and make it all happen! 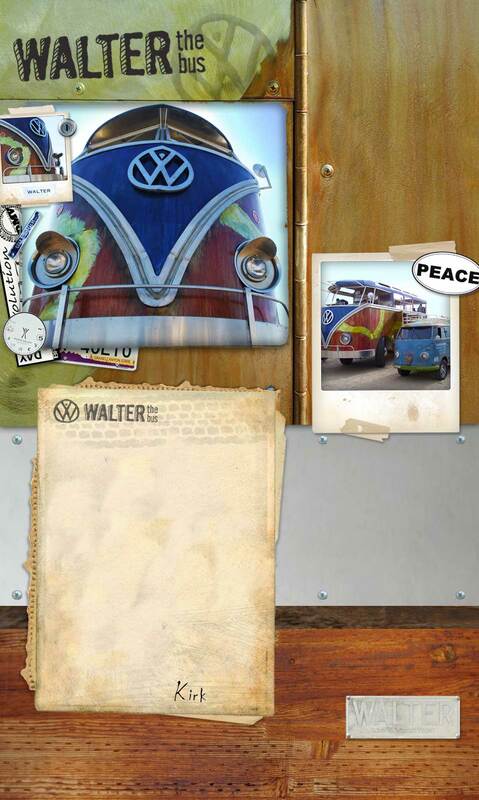 Walter is a mobile destination not unlike all other VW buses. He embraces and emulates the VW bus culture values – a recipe of freedom via mobility, peace, collaboration, community, and organic creativity. Walter travels around encouraging people to get busy living their dreams, being creative, and generally enjoying the ride. This site is where you can learn about the tribe of creative geniuses that brought the world’s largest VW bus to life, the history behind that endeavor, recent news on Walter’s happening existence, and much more. That’s enough for now. If you feel the yearning to know all the details about where Walter is from and what the future holds, check out these pages on this site – The Scoop, Tribe Walter, Scribbles, and Booking. Another duo of Awesomeness last year was the Walterdome High School Battle of Bands which supported Walter’s debut at Burn Camp.